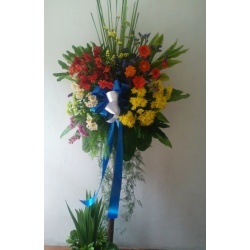 Send Fresh Flowers to Philippines for all occasions. Send flowers to Philippines from anywhere around the world. Your loved ones will surely appreciate the thought when they receive the delivery of fresh flowers you sent especially if you are far away in other parts of the globe. Different types of flower gifts are available to send, from rose flowers to rose bouquets and roses in vase... you are certain to find the perfect flower to send here on the Florabella online florist web site. You can send different types of flower and gifts to Phillippines, from rose flowers to rose bouquets and roses in vase... you are certain to find the perfect flower and gifts to send to Philippines here on the Florabella site for immediate delivery. Some of our most popilar flowers to send to Philippines. As an online florist on the Internet, Florabella has been accepting and processing orders on the web since 1999 and is one of the pioneer Internet florists in the Philippines. Florabella is an Internet florist that can be accessed from anywhere around the world; USA, Canada, UK, Dubai, Hong Kong, Saudi Arabi, Africa, Japan, Australia and more. 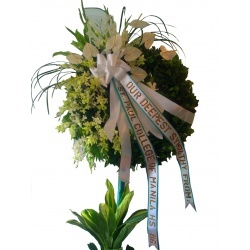 Your loved ones will surely appreciate the thought when they receive the delivery of fresh flowers from a reputable Philippine florist like Florabella. You send flowers and gifts especially if you are far away in other parts of the globe. Different types of flower gifts are available to send, from rose flowers to rose bouquets and roses in vase... you are certain to find the perfect flower to send here on the Florabella florist web site. Florabella also offers flower design and arrangement services. This is perfect for those planning or about to have their wedding in the Philippines. Wedding flower arrangement is a key expertise of Florabella. Bridal floral bouquet design is another proud talent of the Florabella team. Visit our wedding flower arrangements and wedding blog for more information. Below are important information about delivery and shipping when you send flowers to the Philippines via the Florabella web site.